Talking with Roger Schmid, is just like going around the world in 60 minutes ! During 40 years, he worked for the major creation raw-material companies. More, today as a key player of the perfume, he is now in charge of the international innovations of the Natura group. So, on the occasion of his coming to Paris, for the launch of Collages, a collection of 8 fragrances, I had the pleasure to see him again. Pure Musc for Her is the last opus to the perfume collection For Her of the Narciso Rodriguez perfumes. In fact, this saga for Her offers 6 fragrances. 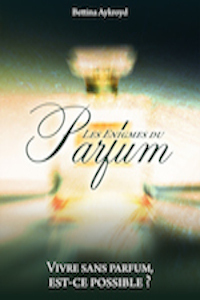 It’s in 2006, that it all began with For Her eau de parfum, signed by Christine Nagel and Francis Kurkdjian. All this put forward Narciso Rodriguez’s addiction for the musk. But also, due to this first fragance, it brought a change in the evolution of the chypre perfumes… which became then, more radiant ! Clarins supports the cause of children with the Clarins Price Clarins pour l’Enfance, for the last 22 years. This year, ElisaTovati, a talented singer and actress, has offered to customize the Neroli Super Hydrating Body Balm, for the Princess Margot Association( Clarins Prize 2016). From the second of April, every Neroli Balm purchased, will bring back two euros to the Clarins Prize for childhood associations. How to perfume one’s home at a fair price ? Do you light a candle in winter or in the spring ? Never mind. Perfume one’s home makes you feel good.. More, breathing pleasant perfumes, allows relaxation and well-being. Today, I talk not only about new fragrances to perfume your home but candles at a fair price !